The AddThis Social Share plugin adds Social Share button to every post and page, so readers can easily share your content on their social networks. 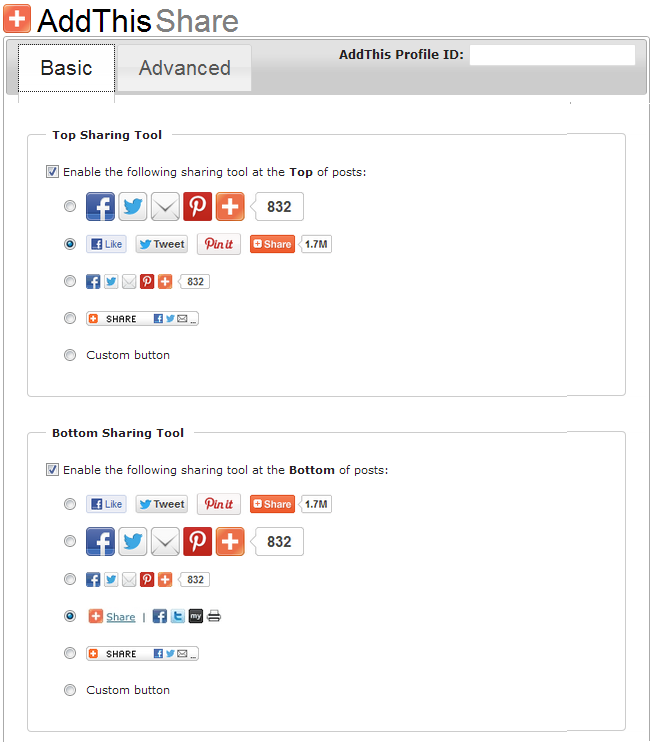 You can also add the Social Share widget to your blog sidebar. With a free AddThis.com account, you can also keep track of social stats. 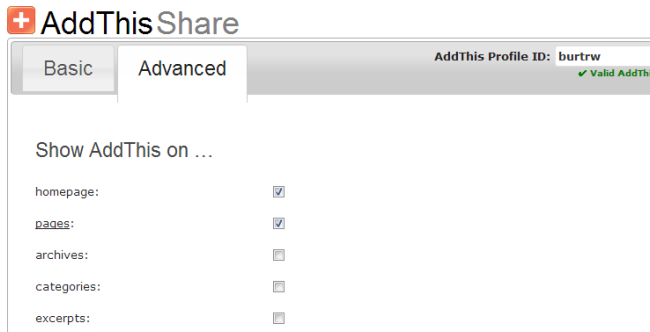 Once you have activated the AddThis Social Share plugin in Plugins > All, go to Settings > AddThis Share to choose the look of your social share buttons and where they are displayed. On the advanced settings page select which pages you want the icons to appear. You would normally show AddThis on homepage and pages. 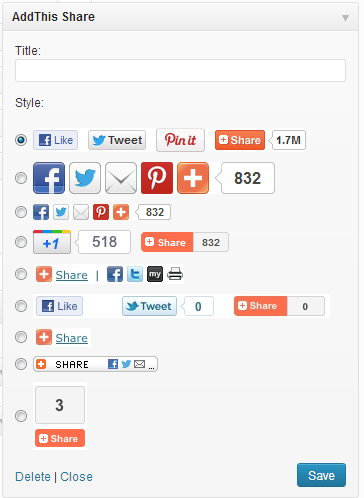 Style: Used to select the look and appearance of social share buttons in the widget.